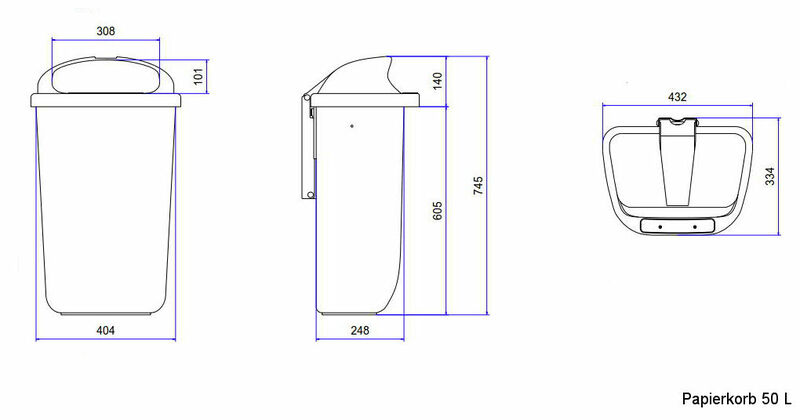 The 50 L litter bins are manufactured from high-quality plastic using the compact injection moulding process. 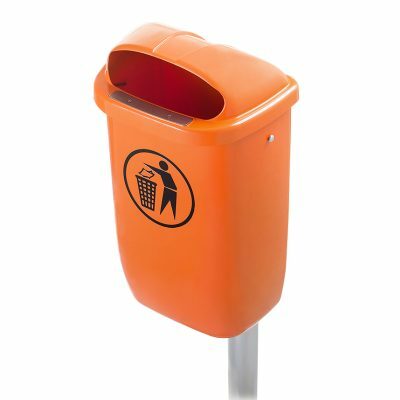 The rubbish bins come in standard colours of orange and green. Manufactured in accordance with the requirements of DIN 30713. 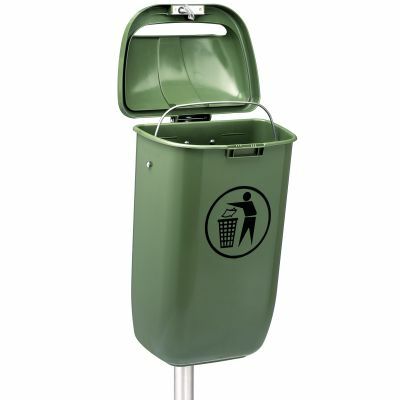 The waste recycling bins 50 L are the ideal rubbish bins for outdoor use. The garbage bins are extremely rugged and durable and are resistant to frost, heat, UV radiation and chemicals. “Action Clean Environment” is hot-foil embossed on the front of the public trash cans as a standard feature. The lid of the trash/garbage cans can be locked with a manual triangular lock. To empty the domestic waste bins, simply and securely remove the body by using the zinc-plated carrying handle (optional special equipment). The rubbish bins from the producer Weber are equipped with a two-part, zinc-plated mounting plate on the rear. 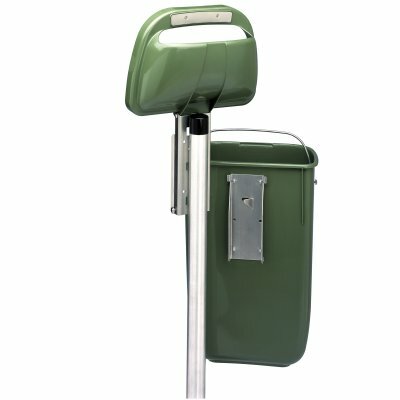 It allows the recycling containers to be quickly and easily mounted to posts, walls or grating. Mounting material is available as an option at a surcharge. 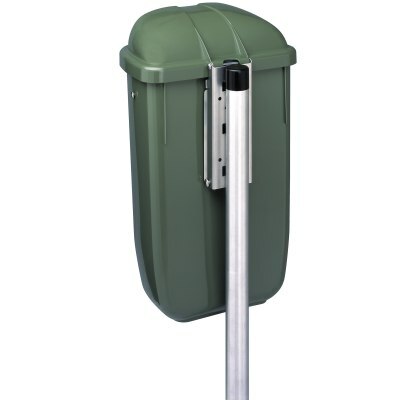 To prevent removal of the domestic waste bins by unauthorised third parties, the body of the dustbins can only be pulled out from the mounting plate while the lid is open. The lid of the public trash cans is secured with a triangular lock. Litter bins 50 L are the perfect solution for public waste disposal. Find out more about our litter bins!